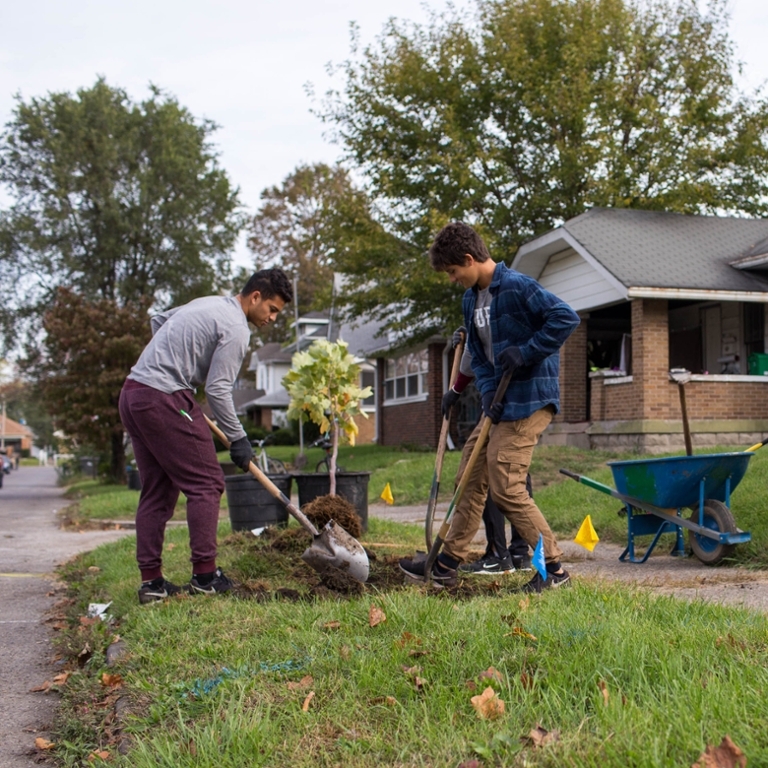 IUPUI’s Center for Service and Learning (CSL) is a gateway for engagement among faculty, staff, students, and the community of central Indiana. While many of us are familiar with some of the traditional elements of community and civic engagement—volunteering, service projects, and group involvement—how the engagement process begins, particularly from the side of the community, may not be as well known. 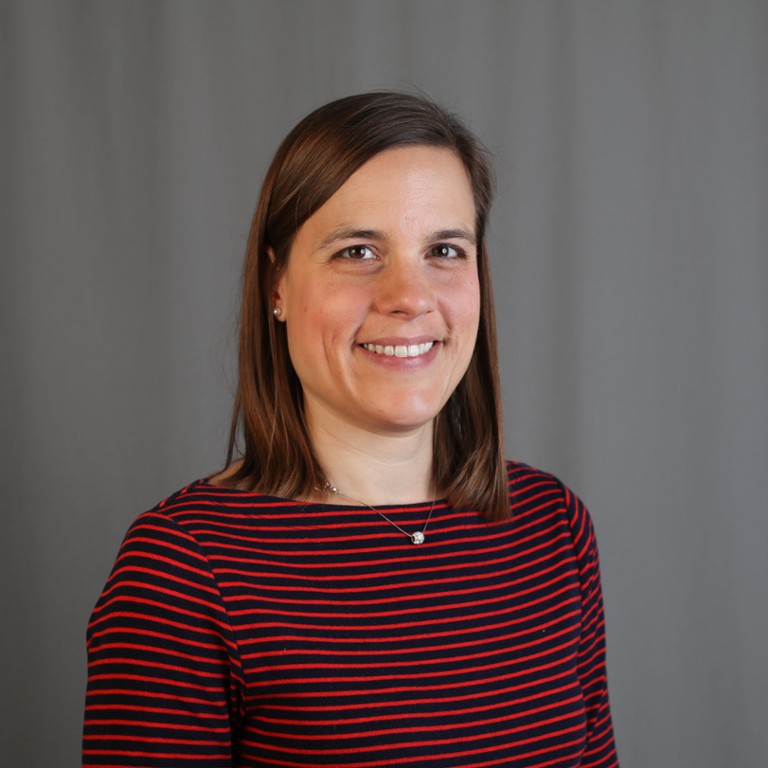 Morgan Studer, director of faculty and community resources for CSL, provides insight into the many complexities of campus and community partnership development. Morgan holds a Master of Arts in philanthropic studies and has served as adjunct faculty for the undergraduate Philanthropic Studies program. She has worked for CSL for 12 years, beginning as the director of the America Reads*America Counts tutoring program, and continues to oversee the Community Work-Study program, as well as faculty development. When Indianapolis community organizations want to partner with IUPUI, they have a number of ways they may approach this process. While some organizations call or email the CSL directly, they may also connect with CSL via the community in-take form (an online form that allows organizations to indicate their goals for partnering with IUPUI ). An organization may also connect directly with faculty or staff they know whose areas of interest align with the interests of the community partner. 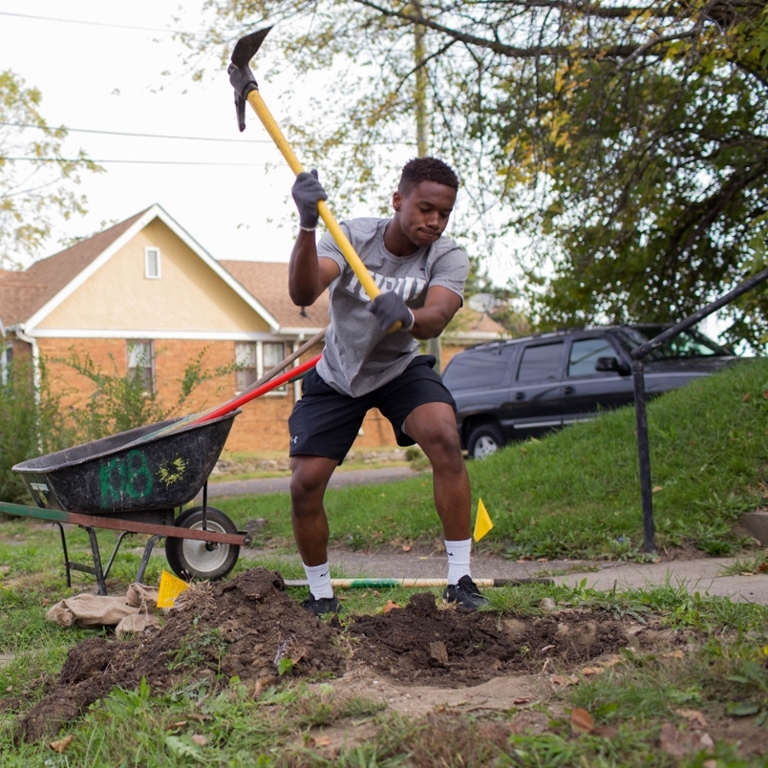 Similarly, first-time undergraduate faculty at IUPUI who are looking to integrate service learning into their courses may be looking for community partners that will be a good fit for their course goals; these faculty may reach out to organizations on their own, or they may connect with CSL for ideas on potential partners with whom to reach out. Many of these queries, from both the community and faculty, wind up on Morgan’s desk or in her inbox. Morgan says, “I am typically the one within CSL right now who reaches back out and learns a little bit more about what they’re [community partners or faculty] looking for.” One of Morgan’s main areas of focus within CSL is facilitating conversations between faculty, staff, and community members to determine what they are looking for from service learning and how service learning can be integrated with their goals most effectively. She also works to pair community members with faculty based on their areas of need and interests; Morgan keeps a finger on the pulse of individual interests, and when she thinks of two interests that will be compatible, she helps potential partners begin the process of developing a relationship to begin working on common interests and goals. The prevalence of community-based learning courses has increased substantially over the last decade. According to IUPUI’s “2015 Community Engagement Report,” the number of instructors engaging in this style of coursework has increased from 92 to 209 (see Table 1). The same table also indicates that for 561 course sections there were 486 participating community partners; clearly, not only is maintaining these relationships important but also the foundations of these relationships must be rock-solid to achieve the best experience possible. 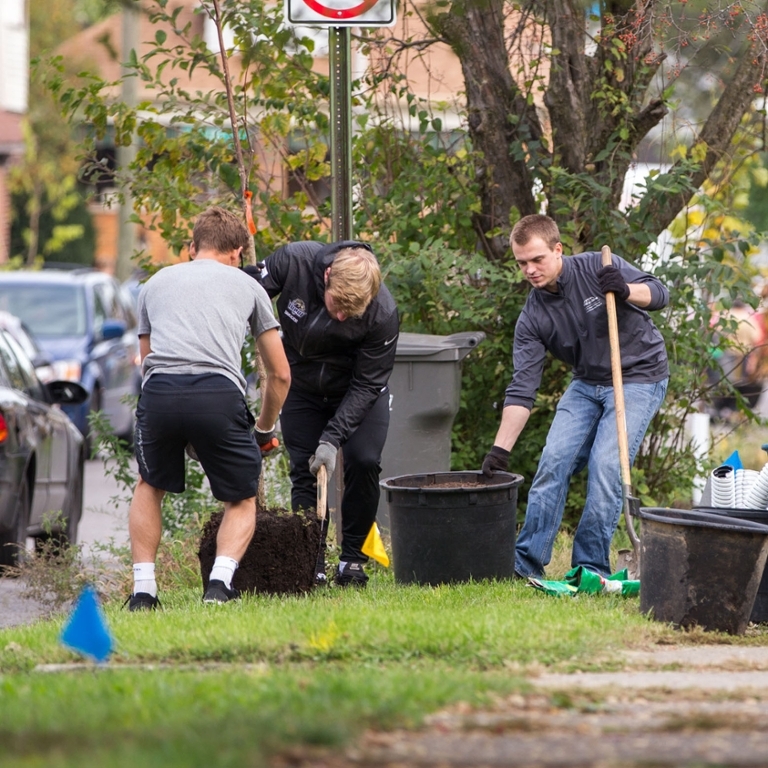 Service learning, a course-based, credit-bearing educational experience in which students participate in an organized community experience designed around mutually identified course and community goals, helps students integrate critical skills that may not always be developed in a classroom setting. Morgan oversees the Service Learning Assistantship (SLA) program, which is a scholarship program within the Sam H. Jones Community Service Scholarship Program. Students who serve as SLAs establish a mentoring relationship with their faculty members, and depending on the community partner, gain workplace experience in a variety of areas. Morgan says, “It’s more than getting a student to help with the work, it’s helping engage that student and mentoring them so they are learning and taking away some good knowledge from the process and developing what we would call civic-minded graduates.” She emphasizes, however, that this relationship is not solely for the benefit of the student, but rather, “mutual reciprocity” is the foundation of community-based learning. The goals of community and campus partners may not always align in terms of expectations. Morgan recommends that before any arrangement is finalized, both sides discuss what this relationship will look like and what students will be expected to do for the community partner, as well as what students are expecting to receive from this experience in terms of time spent, experience gained, etc. She also believes it is important for both sides to recognize each other’s limitations and manage expectations so that mutual goals can be met. 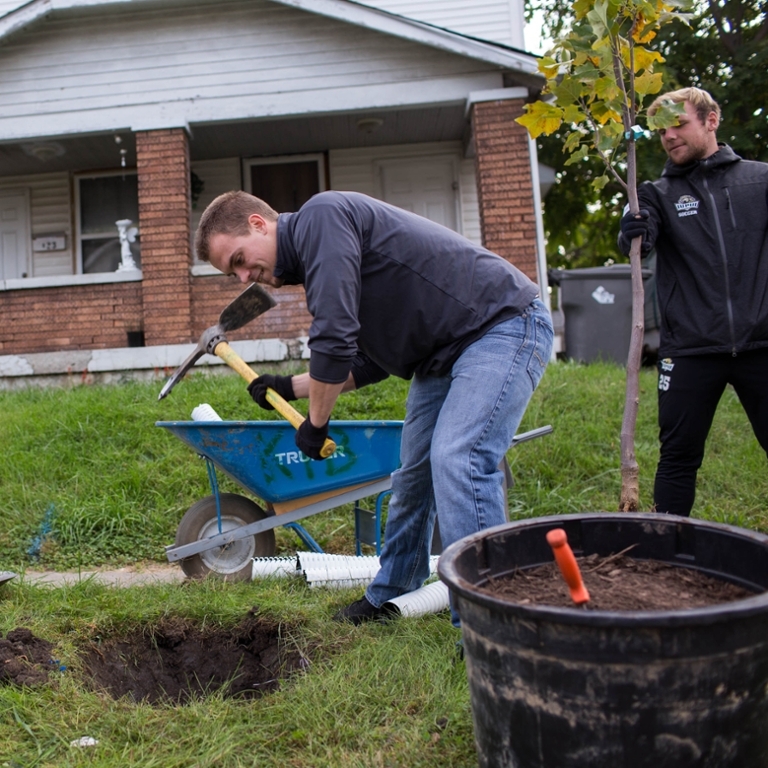 IUPUI is partnering with the community in a variety of ways. Many of these types of relationships intersect, making it difficult for even Morgan to identify how many such partnerships there are at the present. However, she does say that partnerships come in a variety of categories, including internships, community engaged teaching, community engaged research, and philanthropic student organizations. The Collaboratory is one platform that helps to capture and to track many of the campus-community partnerships that faculty and staff are engaging in. Morgan also points out that not all community-campus partnerships come through her office; some partnerships are entirely self-facilitated. While CSL’s assistance is not required for partnership development, Morgan and her colleagues serve as resources via consultative support or through workshop and professional development series for anyone who wants assistance in developing a community engagement relationship.